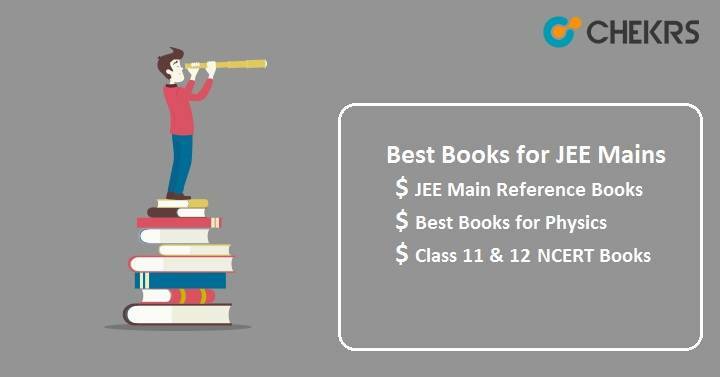 Best Books for JEE Mains 2019: Choosing the best and right books for JEE Main 2019 will give you the right direction for your JEE exam preparation. Candidates who will appear in the upcoming JEE Main 2019 exam must read the books suggested by experts. It is necessary to know all the important books of Mathematics, Physics and Chemistry for better preparation. First of all, know the complete syllabus of JEE Main and then start preparation accordingly. First complete Class 11 & 12 NCERT books and then take help of JEE Main Reference Books and JEE Main Previous Year Papers to score maximum marks and cracking the JEE Main exam. Candidates are advised to prefer NCERT books for JEE Main 2019 and some important books first to clear the basic concepts, and JEE Main Syllabus and see other books only when you need help on a specific chapter. For mathematics, start your preparation from NCERT & RD Sharma books, then go ahead with A Das Gupta, Hall & Knight. First finish the Concept of Physics by HC Verma, then move to other physics books like Problems in General Physics by I.E. Irodov and Concept of Competition Physics by Agrawals. Many different types of books are available in the market and it’s not easy to read all the books and solve questions from all of the books. So, here we are providing the list of Best Books for JEE Main Preparation according to the subjects. We have also provided some time in our separate article here: JEE Mains Preparation Tips 2019. Prepare well and try your best but also take care about the dates of JEE Main Admit Card 2019. Tags:books for jee main preparation, Exam Pattern of JEE Main, JEE Main 2019, JEE Main Application Form, JEE Mains Syllabus, jeemain.nic.in.